Our extremenly easy to use Digital Flashboard System* comes with a flat screen display and touch screen monitor used for selection numbers. The system is simple to setup out of the box and is supplied with all required cables. This system is perfect for hosting your own bingo games, retirement communities and special events. Our highest quality shutter bingo cards. These shutter cards are stitched around the edge for long life, and they are much heavier and more durable than our economy slide card. Everything you need to play bingo! 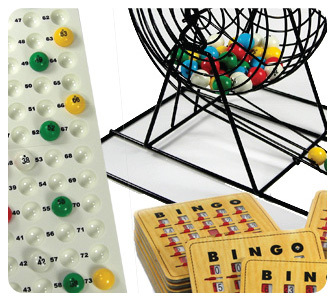 These kits contain a bingo cage, master board, a set of 75 bingo balls and bingo cards. Save time and money by purchasing everything in once set! 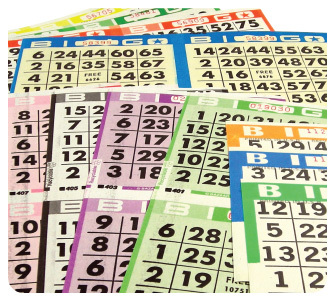 We have a variety of bingo paper in various colors and multiple game faces to suit any need. Perfect for school funraisers, special events and more.. If you can dream it, we can make it. 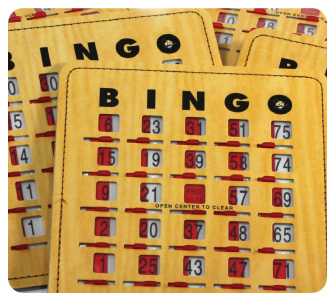 US-BINGO works hard to make sure your custom bingo cards are exactly the way you want them. Our full-color printing and multiple paper stocks will leave you with a product you will want to keep for years.